Bristol Rovers win 5-3 on penalties. Doncaster Rovers win 4-2 on penalties. Reading U23 win 4-3 on penalties. Brighton U23 win 4-3 on penalties. Match ends, Sheffield United 1, Walsall 2. Second Half ends, Sheffield United 1, Walsall 2. Matt Preston (Walsall) wins a free kick in the attacking half. Adam Chambers (Walsall) wins a free kick in the defensive half. Will Shorrock (Walsall) is shown the yellow card. Attempt missed. John Fleck (Sheffield United) right footed shot from outside the box misses to the left. Attempt saved. Benjamin Whiteman (Sheffield United) left footed shot from outside the box is saved in the centre of the goal. Substitution, Walsall. Adam Chambers replaces George Dobson. Kevin Toner (Walsall) wins a free kick in the attacking half. Corner, Sheffield United. Conceded by Matt Preston. Attempt missed. Mark Duffy (Sheffield United) right footed shot from the left side of the box is close, but misses to the right. Corner, Sheffield United. Conceded by Franck Moussa. Substitution, Sheffield United. Benjamin Whiteman replaces James Wilson. Goal! 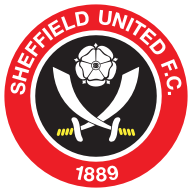 Sheffield United 1, Walsall 2. Paul Coutts (Sheffield United) right footed shot from outside the box to the bottom left corner. James Wilson (Sheffield United) wins a free kick on the left wing. Foul by Erhun Oztumer (Walsall). Substitution, Walsall. Will Shorrock replaces Josh Ginnelly because of an injury. Attempt missed. David Brooks (Sheffield United) header from the centre of the box misses to the right. Chris Hussey (Sheffield United) wins a free kick on the right wing. Attempt missed. Kieron Freeman (Sheffield United) right footed shot from outside the box misses to the left. Substitution, Sheffield United. Kieron Freeman replaces Reece Brown. Goal! Sheffield United 0, Walsall 2. Amadou Bakayoko (Walsall) left footed shot from the centre of the box to the bottom left corner. Assisted by Scott Laird. Attempt missed. Chris Basham (Sheffield United) right footed shot from outside the box is high and wide to the right. Attempt saved. 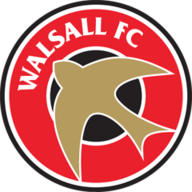 Amadou Bakayoko (Walsall) header from very close range is saved in the top centre of the goal. Substitution, Sheffield United. Paul Coutts replaces Stefan Scougall. Attempt saved. Josh Ginnelly (Walsall) right footed shot from the left side of the box is saved in the top centre of the goal. Kevin Toner (Walsall) is shown the yellow card for a bad foul. Stefan Scougall (Sheffield United) wins a free kick in the defensive half. Foul by Kevin Toner (Walsall). Franck Moussa (Walsall) wins a free kick in the defensive half. Foul by Reece Brown (Sheffield United). Josh Ginnelly (Walsall) wins a free kick in the defensive half. Foul by George Dobson (Walsall). Attempt missed. James Wilson (Sheffield United) right footed shot from outside the box misses to the left. Corner, Sheffield United. Conceded by Scott Laird. Second Half begins Sheffield United 0, Walsall 1. First Half ends, Sheffield United 0, Walsall 1. Mark Duffy (Sheffield United) is shown the yellow card for a bad foul. Corner, Sheffield United. Conceded by Craig MacGillivray. Attempt saved. Jack O'Connell (Sheffield United) header from the centre of the box is saved in the top right corner. Corner, Sheffield United. Conceded by Jason McCarthy. Matt Done (Sheffield United) wins a free kick in the defensive half. Foul by Matt Preston (Walsall). Foul by James Wilson (Sheffield United). Erhun Oztumer (Walsall) wins a free kick in the attacking half. Attempt missed. Erhun Oztumer (Walsall) left footed shot from more than 35 yards is close, but misses to the right. Hand ball by Franck Moussa (Walsall). Attempt blocked. Chris Basham (Sheffield United) right footed shot from outside the box is blocked. Reece Brown (Sheffield United) wins a free kick in the attacking half. Corner, Walsall. Conceded by John Fleck. Attempt blocked. Erhun Oztumer (Walsall) right footed shot from the centre of the box is blocked. Attempt missed. David Brooks (Sheffield United) right footed shot from long range on the right is too high. Goal! Sheffield United 0, Walsall 1. Scott Laird (Walsall) left footed shot from very close range to the top left corner. Assisted by Amadou Bakayoko. Attempt blocked. Mark Duffy (Sheffield United) right footed shot from outside the box is blocked.